This blog piece is the second part of two part post. Read the first post here. Cathy Cowan of Maximum Media and Sasha Kinch of INM.ie are our guest bloggers. Cathy is Marketing Manager at Maximum Media, the digital publishing powerhouse behind lifestyle brands JOE.ie, Her.ie, SportsJOE.ie, HerFamily.ie and JOE.co.uk. Cathy recently returned to Dublin from London where she worked as Marketing Manager at Yahoo UK leading regional and EMEA wide B2B and B2C campaigns. Sasha is Social Media Executive @ Independent News & Media (INM.ie). Sasha manages social and content for INM for B2C and B2B campaigns. They have written this two part blog piece on their favourite campaigns of 2015. They are both members of the IAB Social Media Council. View Cathy’s Linkedin profile & view Sasha’s Linkedin profile. Some of the most effective social media campaigns this year have happened when a brand has incorporated an engaging digital trend to help them reach their target audience. That’s exactly what happened in the United States in May when Domino’s launched a new system for users to simply tweet the pizza emoji at the restaurant to place an order. Dominos then sent a DM to confirm the order and the order was sent automatically to his or her home. 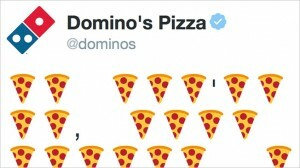 The brand fully embraced the platform by even making the launch announcement on Twitter, sending out a steady stream of tweets made up almost entirely of pizza emojis. The emoji messages were punctuated like normal tweets and the Domino’s account even responded to confused followers with more pizza-emoji filled replies. The tweet that kicked off the campaign had more than 2,300 retweets and 1,700 favorites. AIB have sponsored the GAA Club Championship in Ireland for over 20 years but for many involved the partnership had become relevantly insignificant and had little effect on their brand metrics. AIB wanted to change all that. Their game changing campaign this year centred on grass roots as the toughest sporting commitment. They hired photographers to attend club games all over the country and turn these images into digital posters that were shared and celebrated via social networks on every final whistle. 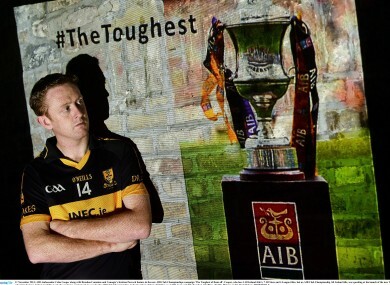 But it was AIB’s use of video that really captured the essence of #thetoughest campaign. First they recorded GAA fans making tough decisions all over the country – would you rip up your match ticket in return for much-needed funds for your club? Then they showcased, in an hour long documentary, the huge difference between amateur and professional athletes. The teaser videos for the documentary captured the imagination of a sport obsessed nation and were shared thousands of times on social. On the night it was televised ‘The Toughest Trade’ sent Twitter into meltdown, filling three of the top ten trending positions in Ireland. AIB as a brand were now seen as facilitators, supporters and a worthy sponsor of the most popular sport in Ireland. They didn’t just observe like some brands do, they told a story and celebrated the talent and commitment with emotive content that their target audience really responded to. AIB were winning too. Stay tuned for further updates in this blog series, by bookmarking the Social Media Blog Series page.